I was recently on a webinar and the speaker talked about sitting for 11 minutes each day in peace, love and joy. Doesn’t this sound like an awesome thing to do?! 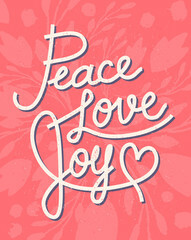 This puts us in the energy of these lovely feelings … it doesn’t get any better than peace, love and joy, right?! And, it raises our vibration individually and collectively. I really can’t think of a more important time to do this very simple exercise for only 11 minutes per day. If you would like to do this Peace, Love, Joy Meditation using a harp solo, non-familiar song, I suggest the “Sincerity” download from the Calm as the Night CD. It is 11 minutes and is only 99¢ to help facilitate a deep connection to peace, love and joy. Join me in this easy and make-a-difference meditation! “Harpist Tami Briggs is a sound healer whose angelic, gentle playing bypasses all resistance to touch the root chord of the human soul. She honed her healing skill via personal appearances at hospitals and hospices, bringing her soothing sounds right up to the beds of those most in need. Bringing her knowledge of healing into the recording studio, Briggs makes harp music that’s simple, sweet, and deeply soothing. Embracing a less-is-more strategy, The Christmas Story interprets classic holiday standards into gentle solo-harp pieces, potent enough to hush a room of chatting relatives, relaxing enough to play in a child’s bedroom to help them fall asleep on Christmas Eve. And if you should find yourself alone for the holidays, Briggs becomes an angelic friend, her music a shimmering presence rooting you back to humanity. You can order either CDs or download it. Didn’t I just write about holiday prep yesterday?! It has sure been a fast year … and now, ready or not, here come the holidays! 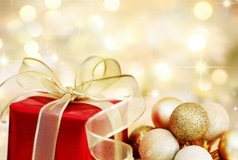 Need help with gift ideas and shopping? We can help with harp CDs, books and music devices (Amazing Mini Music Machines and MP3 Players). And perhaps downloads of relaxing music will help you feel some peace and calm throughout this holiday season. We are honored and humbled by the Daily OM’s lovely words. 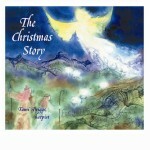 And if you want to experience it for yourself, The Christmas Story is available as a CD or download. Enjoy! “The Gift of Christmas Peace” movie is baaack!! We’ve had such lovely feedback about our holiday video we decided to share it again with you! 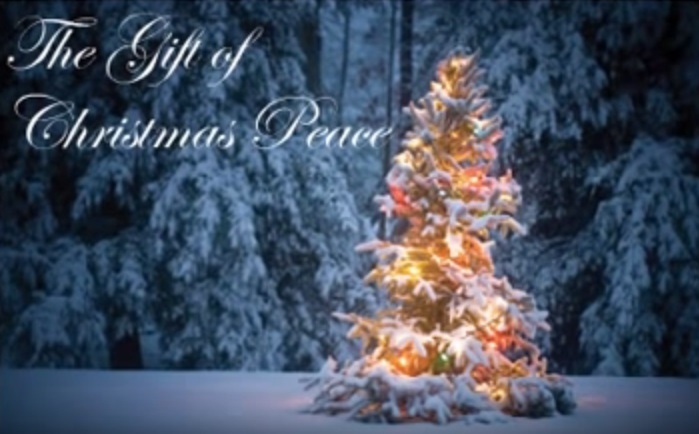 It’s called The Gift of Christmas Peace and it features one of our all-time favorite songs we’ve ever recorded, “Pachelbel’s Canon/The First Noel.” It is available on the Christmas Music for Tranquility CD or you may download the individual song. I am humbled by these beautiful words that they shared with more than 1 million of their customers. The Daily OM “gets” the special grace of this CD and I am deeply grateful for their continued support. To order the CD, click here. It is also available as a download. Happy Holidays! We offer a free download on this site! Click here and in the upper right-hand corner, enter your information. It is one of my solo harp compositions called “Inspired by Love” and it’s FREE. You will be sent to a thank-you e-mail with a link to download this song of love. It’s our special gift of love to you! Enjoy … and spread the vibration of love to all your family and friends! In appreciation for your continued support, we created a short Christmas movie for your viewing pleasure called The Gift of Christmas Peace. It features “Pachelbel’s Canon/The First Noel,” the first song on my Christmas Music for Tranquility CD. You can download the song or complete CD, or if you prefer to purchase the actual CD, click here. At the beginning of last summer, I posted a blog entry about my video featuring Pachelbel’s Canon on this website and YouTube. At the time, it had 16,000 views and now it is over 24,500 … very exciting! It is a beautiful song to help bring you relaxation. Click here to listen and share with your family/friends. If you love this song, you can download it or this song is on the “Touched by Angels” CD. Enjoy! Featuring “The Christmas Story,” this is one of my holiday CDs. Since most Christmas music is recorded in the summer (so the CDs are ready for the holidays), “The Christmas Story” has always been special because it was recorded on Christmas Eve and Christmas Day. To order your copy today, click here. Or you can download the entire album here.